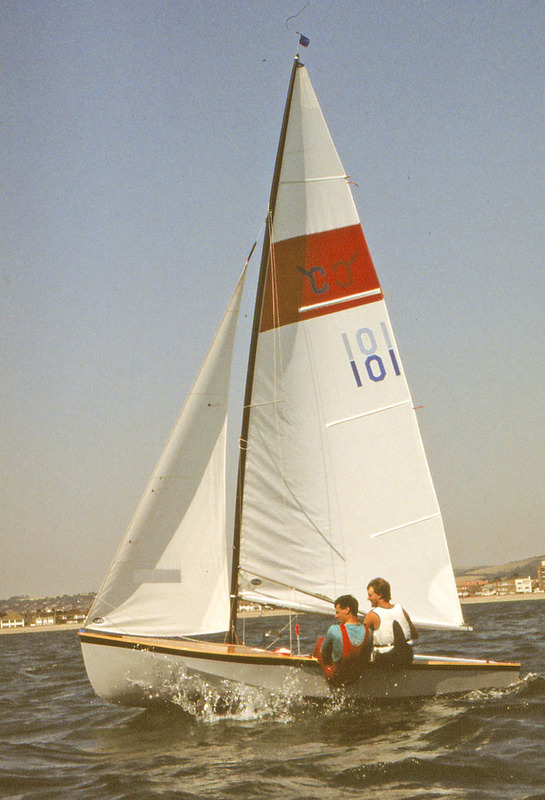 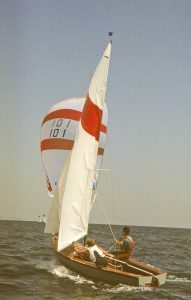 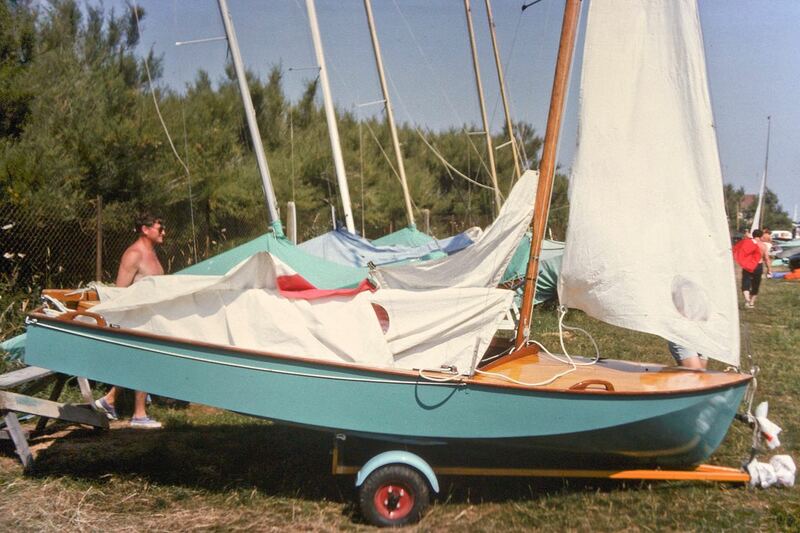 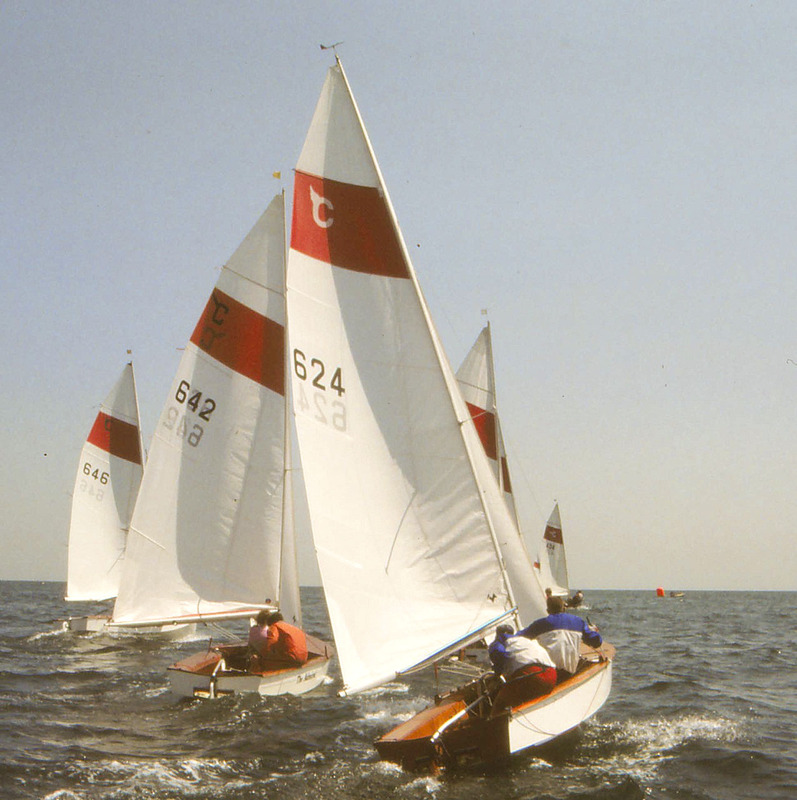 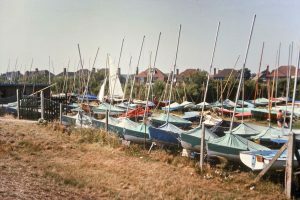 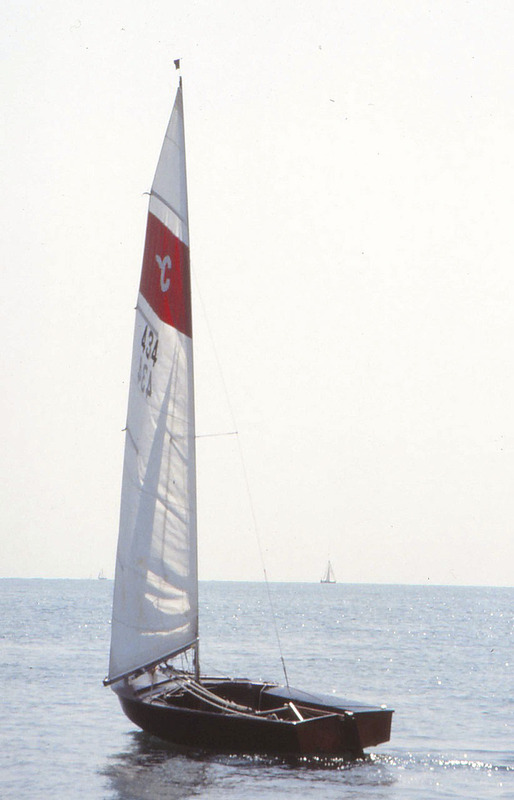 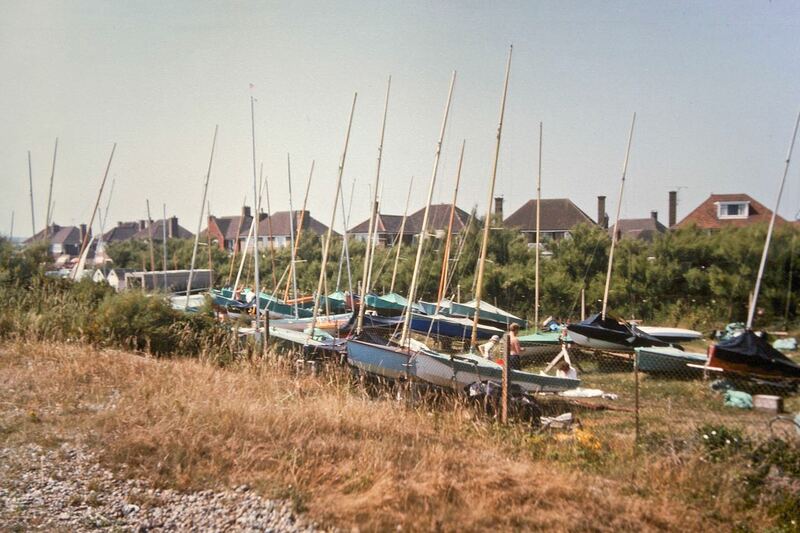 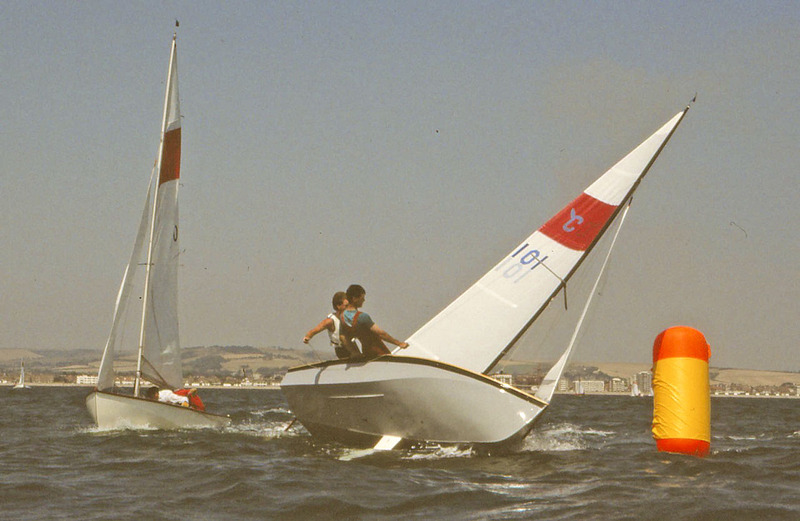 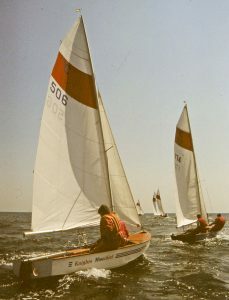 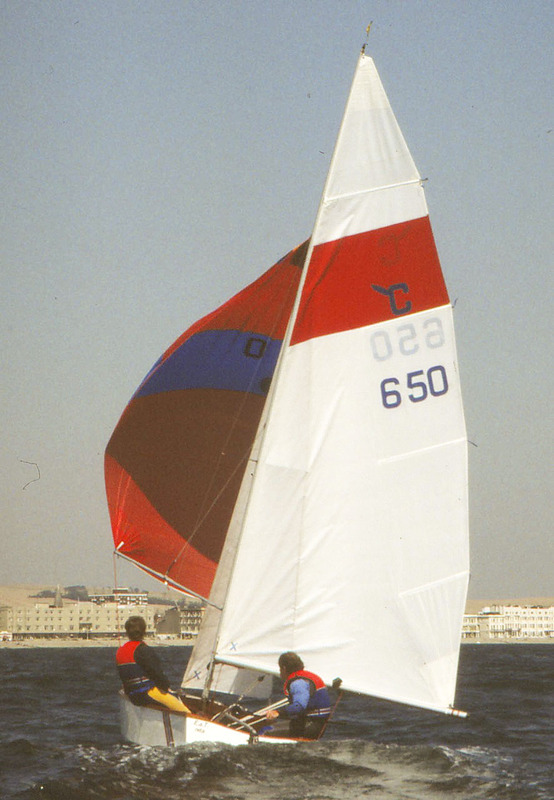 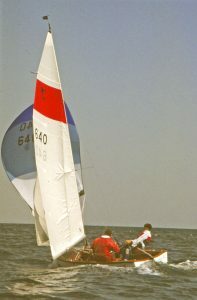 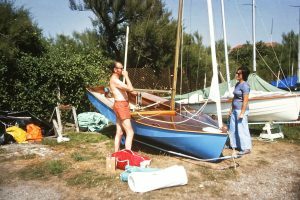 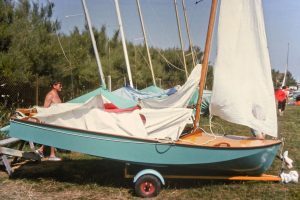 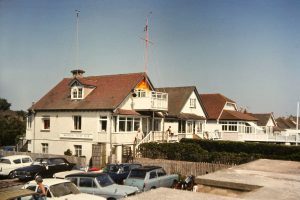 Worthing Yacht Club / Sailing Club sailed a fleet of Seaflys from the 1960’s through to the 1980’s. 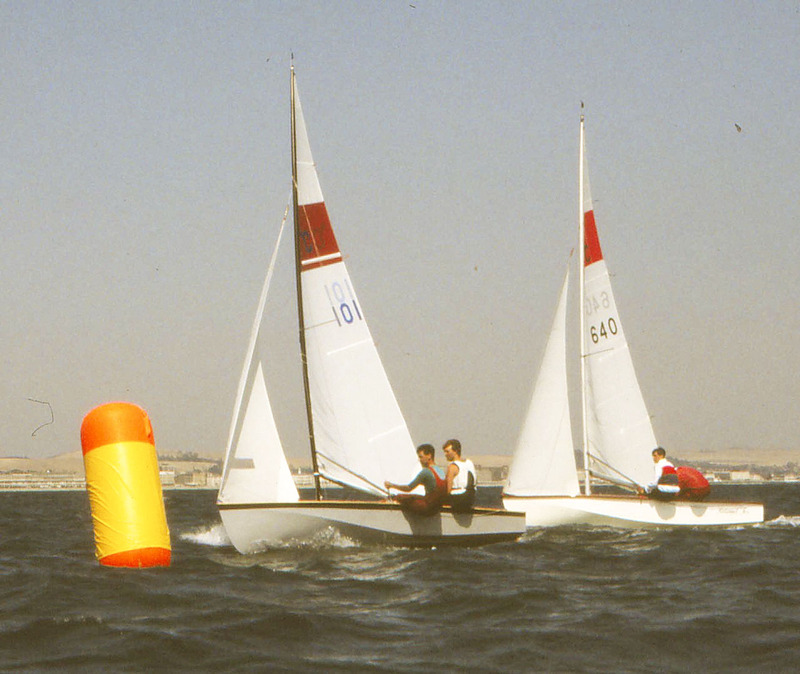 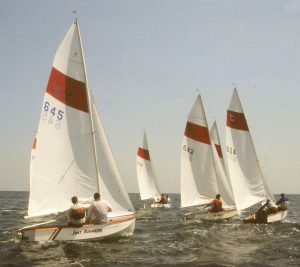 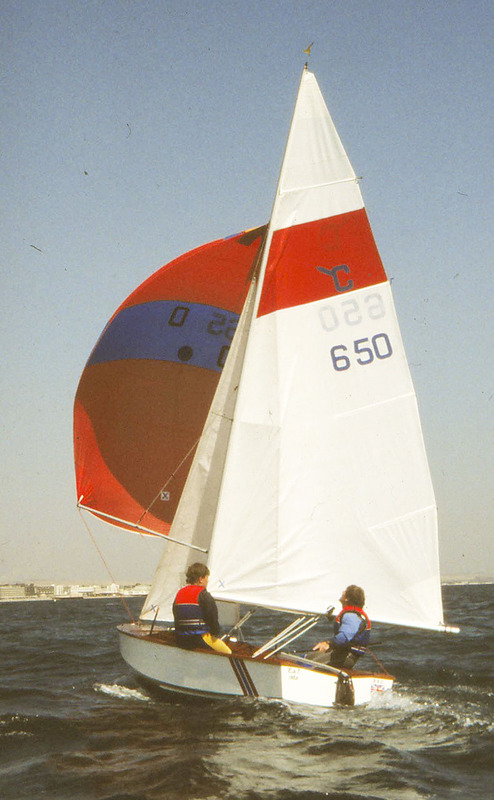 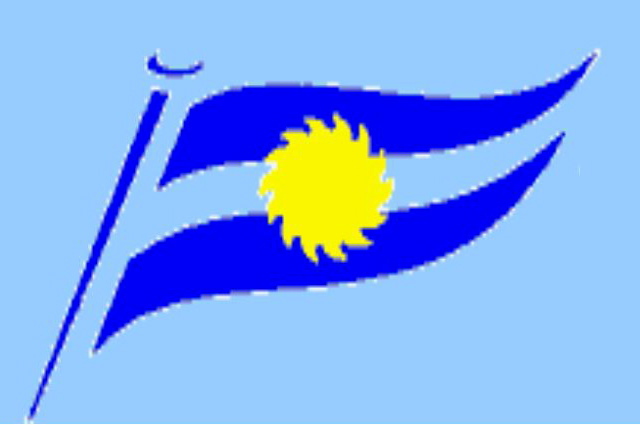 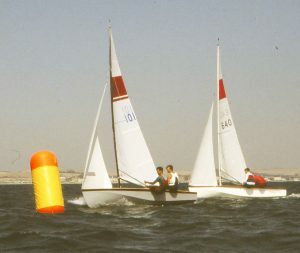 They hosted the Seafly National Championships in 1968 and regularly thereafter until 1989. 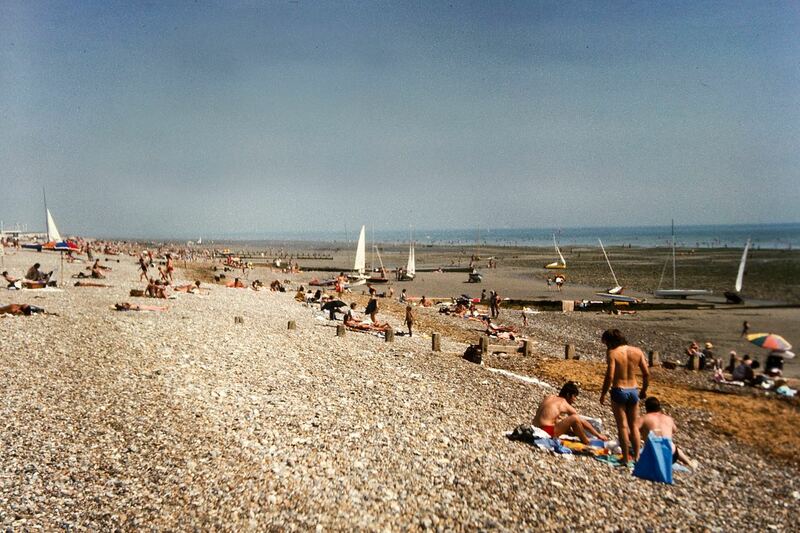 At the peak, around 1975 there were some 23 or 24 Seaflys at Worthing. 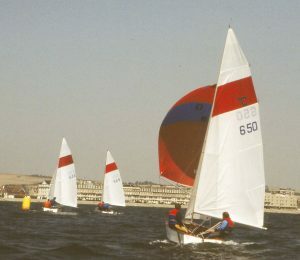 However the newer GRP/foam sandwich hulls did not take kindly to the Worthing beach pebbles and during the 1980’s and 1990’s catamarans became dominant. 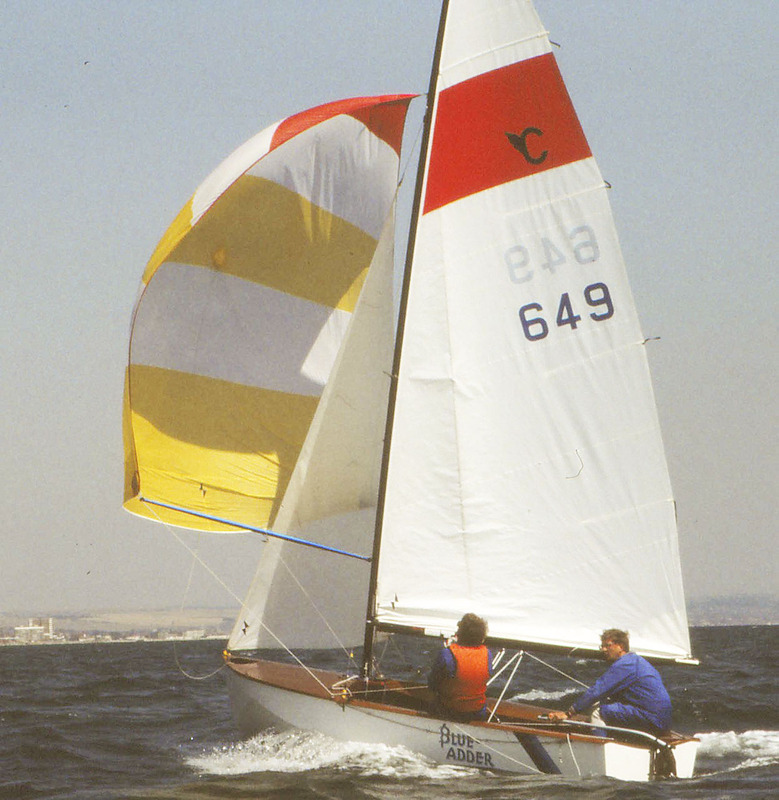 In 1990 there were 8 Seaflys registered with the SDCA, by 1996, only 2. The club is now mainly a catamaran and windsurfing club. 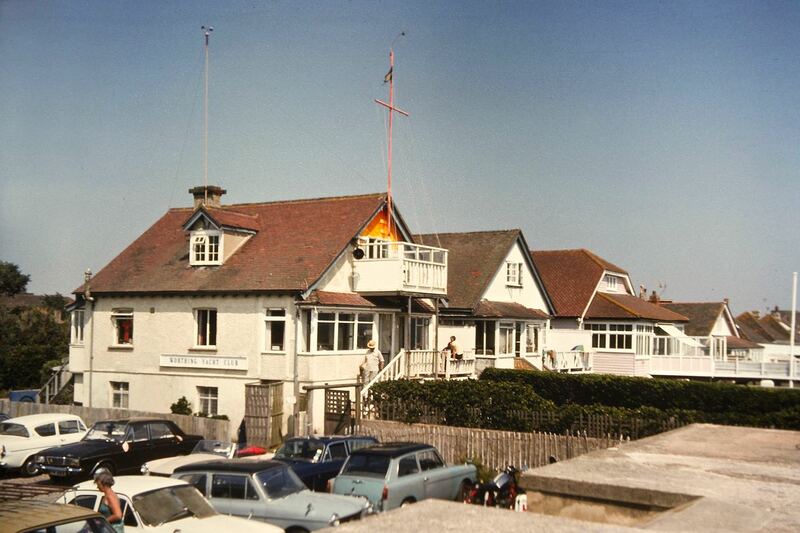 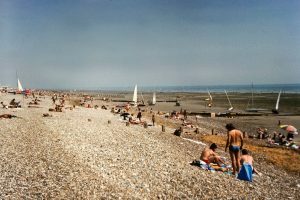 Visiting from Canberra Yacht Club in July 1975, Peter and Daphne Fullagar took these photos of the Worthing Club house and boat park, local Seaflys, and the beach pebbles!